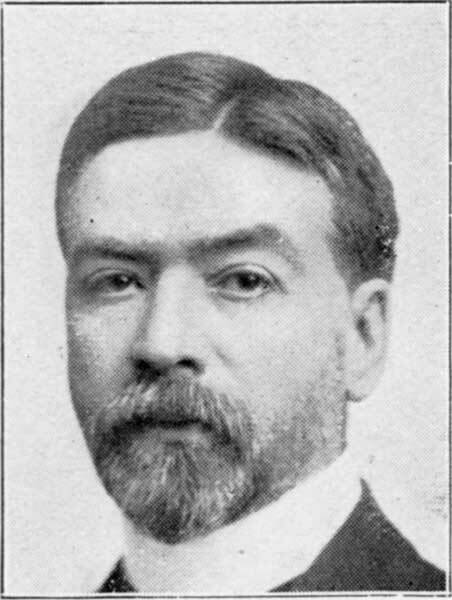 Born at Quebec City, Quebec on 12 March 1865, son of private banker E. C. Barrow and Martha Susan ffrench, he was educated at the Quebec high school. In 1881, he began working as a bank clerk at Quebec, later moving to Montreal. He came to Manitoba in 1892 as Manager of the Union Bank at Boissevain. He stayed there six years then moved to a bank branch at Moose Jaw, North West Territories (now Saskatchewan), then to one at Regina in 1901. He came to Winnipeg in 1903 and, two years later, became Manager of the bank branch at the intersection of Main Street and William Avenue. On 27 August 1895, he married Martha Adela Moles of Boissevain, Manitoba. They had two children, a son who died shortly after birth, and Evelyn Roberts ffrench Barrow (wife of Christopher Thomas Best). He was a member of the Manitoba Club, Carleton Club, St. Charles Country Club, Assiniboine Club (Regina), and St. Luke’s Anglican Church. In 1911, he lived at 507 River Avenue, Winnipeg. He died at Winnipeg, of complications from appendicitis and diabetes, on 14 December 1911. He was buried in St. John’s Cemetery. “Manager of Union Bank passes away,” Manitoba Free Press, 15 December 1911, page 3. We thank Dorine Best and Amy Best Wadley for providing additional information used here.